Sell Your Used Black & White Copier or your Used Color Copier to us for Cash. 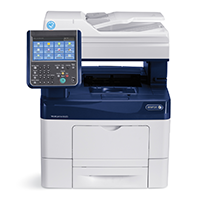 Ricoh Copiers, Canon Copiers, Sharp Copiers, Kyocera Copiers, Xerox Copiers are some of the used copiers we purchase! We buy low and high meter Used Color Copier, all conditions, throughout the United States and Canada. Town Business Center buys all types of Canadian Color Copier, wide format plotters, printers and scanners from companies like HP, Canon, KIP, Oce and Xerox to name a few.